The mystery of the missing Tboy! Begin thinking of an alias: You will need to write your alias down upon arrival. Throughout the evening, you will be wearing a name tag with your alias on it. This is not your real name, but a character and role you will play. Fun and unusual names are encouraged! Movie characters, famous people, entertainers, or historical figures are just a few suggestions. Costumes are encouraged! Come incognito by dressing up as your alias or keep everyone guessing by disguising your identity with a mask. Show up on time! Registration begins promptly at 4:30 pm and you don’t want to miss out on the fun! At this exclusive mystery event you will be greeted at our suspect lineup and then head upstairs to Sherlock and Watson’s office to be interrogated. Just beware! We have a Vile Villain who has kidnapped the TBOY and will be stalking and mingling among us all. Sherlock and Watson need your help to crack the case and reveal our missing TBOY! "Find a job you love, and work will never feel like work." "She has a smooth class about her that makes everything cool....Whatever she does, works." --Grammy-winning Musician Jimmy Vaughan, brother of Stevie Ray Vaughan. it's what your stand for." 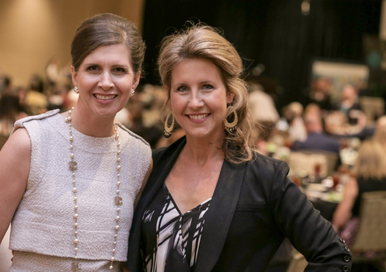 As a woman broker, she’s both a rarity and an industry leader, presiding over the Texas Aerospace & Aviation Advisory Committee, appointed by Governor Abbott, and chairing a key European business Aviation Assn. committee. Her company has appeared on the Inc 5000 fastest-growing private company list seven times, received more than 70 newspaper industry awards, and numerous local Chamber of Commerce awards. She grew up steps away from the Capitol above her father's hamburger joint. Today she is a top fundraiser and political strategist at local, state and national levels. Her combined companies grew 32% in revenue and 7% in profit staff while she sometimes navigated a rocky road dealing with an alien trucking culture and male-dominated industry. Who in world will win the prestigious TBOY? Get out of the rut… Get into the plot… Get blown away! 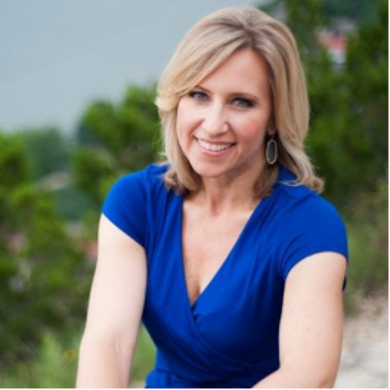 Favorite Moderator charms and captures audiences with warmth and natural ease at MAPcon+TBOY... You've seen Terri anchoring and reporting consumer, investigative and inspirational breast cancer stories. She's covered hurricanes, the first-ever joint training exercise between Russian and U.S. troops, and the Minneapolis bridge collapse. A few years ago she interviewed President Barack Obama. Her investigation into gumball machines sparked the largest national recall in history and resulted in a federal law banning lead in toys. Honors include an Edward R. Murrow, six Emmys including one for best newscast, and other awards. Terri enjoys exploring the Hill Country, walking the hike and bike trails, and listening to music. She's a huge sports fan and a great cook. After an impressive career in media, public relations and entertainment, Marsha Milam decided to dive headlong into the spirits industry. A confessed serial entrepreneur and a woman with many accolades, her specialty is creating something out of nothing. "I live for creating moments that touch people internally and help us find our commonality with each other." At the height of her music career, her team was making magic for 100,000 fans annually with live music shows across Texas under the exuberant tag line “We spread joy and happiness." And they did. Then a few years ago, the iconic music maven fell in love with the seductive culture of bourbon. Standing alone in the peaceful quiet of a Kentucky warehouse full of slowly aging bourbon barrels, "I felt I had discovered the antithesis of the frantic life we live today. Like people, bourbon takes years to age, to mellow, to become smoother and richer. And it is to be experienced slowly. It is to be savored, just like our lives." 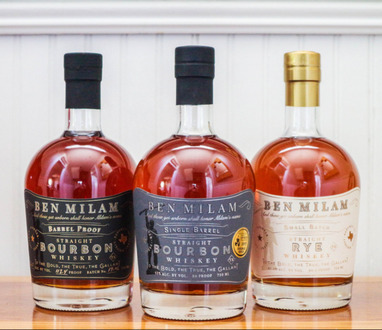 So she founded Ben Milam Distillery--named for a distant ancestor--that makes Ben Milam Whiskey, an award-winning, premium-brand bourbon and rye whiskey sold in fine wine and spirits stores nationwide. 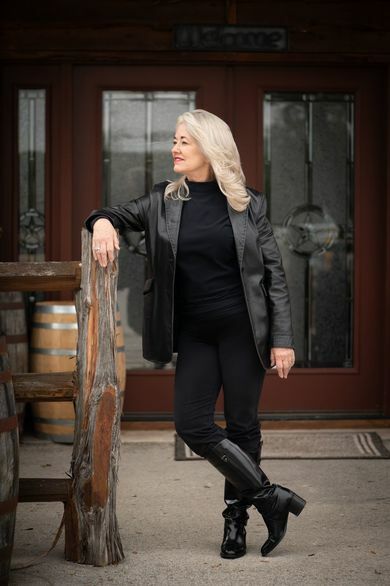 Her whiskey won Double Gold at the renowned San Francisco World Spirits Competition in both 2017 and 2018, and is in the top 10% of all whiskeys sold in Texas. "I do not find it ironic at this stage in my life and career that I should be attracted to something that encourages me to slow down, examine my life, savor the moment. Will this be my 'Last Hurrah?' I don’t know but I intend to enjoy it." She's has much to savor as the founder of the Austin Film Society, the originator of Chuy’s Children Giving to Children Parade that collects toys for the APD’s Blue Santa program, and other triumphs. As for economic support of women, she says, "I hire women! Our distiller for Ben Milam Whiskey is a woman who worked with Jim Beam for 27 years. Our new CEO is a woman.The young people I hire in the music business are 90% female." Automotive Wonder Woman takes to the airwaves with "Cars Her Way"
Nobody exudes more confidence or authority standing beside a car -- any car -- than Lisa Copeland. She owns it, and the car knows it. This Automotive Wonder Woman honed her credentials at Fiat, where she made a name for herself as the top dealer in that company and an articulate expert who could hold her own in any automotive forum. 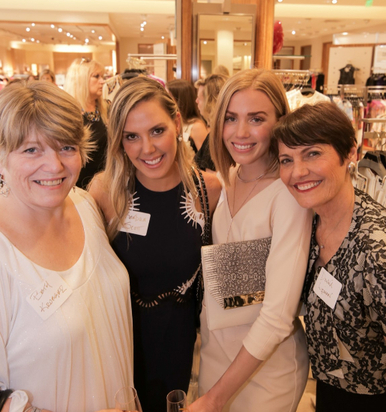 "I knew that I wanted to empower women consumers and create more jobs for women in our industry." After relaunching FIAT/Alfa Romeo back to the US following a 20-year absence and having staked her success on women consumers and a female sales force, she opened the first auto store in the U.S. in a high-end aspirational shopping center in Austin, TX. In 2012 her sales team broke the world sales record for the FIAT brand, earning worldwide recognition and a visit from the Chrysler Corporation CEO, who was so impressed that he appointed her as the only female on the FIAT/Chrysler dealer board -- making her one of 18 that governed all dealers for Chrysler, Dodge, Jeep, Ram< FIAT, Maserati, Alfa Romeo and Ferrari dealers nationwide. In that high-profile leadership role, she fought to make consumer advertising more female-focused and friendly, to no longer allow “models” at car shows, to show everyday women in company marketing, and to educate dealers about the importance of women on the showroom floor. In 2016, Lisa sold her award- winning dealership. 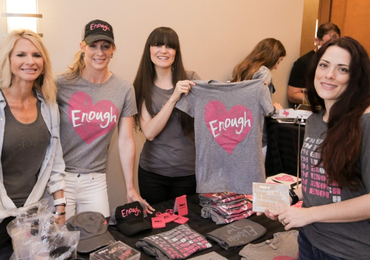 She co-authored a book Crushing Mediocrity and embarked on a 40-city speaking tour. Recently she signed a deal with I Heart radio for a call-in radio show and PodCast "Cars Her way" -- the only call-in radio show for female automobile consumers. She grew up with one foot in a small Jersey town, the other in the Big Apple, one of four children of WW II U.S. Veterans –both strong role models who taught her not just to persevere but to prevail, that hard work, perseverance, and education would yield results. "My father was a POW in Japan, my mother a commissioned officer in the Navy Nurses Corps. While the bar may have always been set just out of reach, it was determination and focus that kept my aspirations high and gave me the inner strength to meet my own expectations and exceed those of others to this day." She attributes her adventurous nature to her mother's desire to see the world and "break out of the mold that defined women of her time." Janine's fearlesness in jumping into the unknown was honed at home with stories of her parent's life abroad and her mother's international travels. Not excelling at school was not an option, along with an appreciation of the arts through classical music education and sports. She mastered several instruments and took riding lessons from an early age. New York provided her the perfect business incubator, its concrete canyons honing survival skills and living up to its famed mantra, “If you can make it here, you can make it anywhere!” And make it she did. 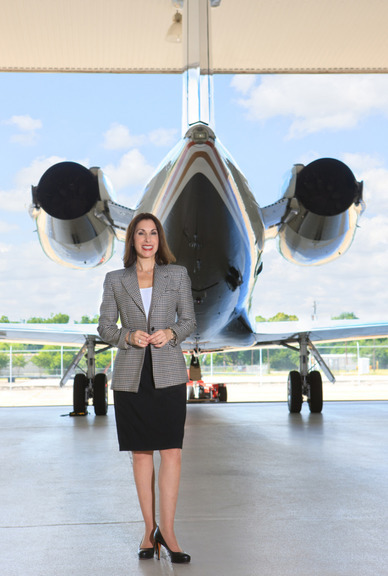 After learning the trade, she launched her own company Par Avion, which is today one of the top aircraft brokerages that buys and sells pre-owned business aircraft valued upwards to $65 million. 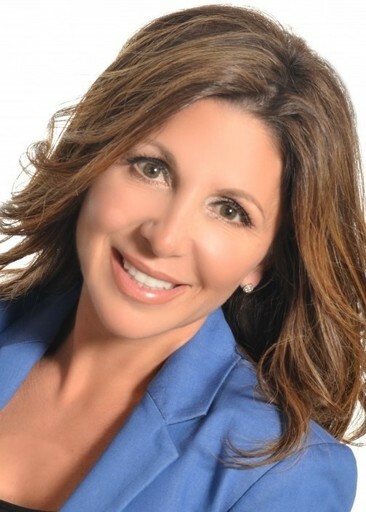 As a woman broker, she’s both a rarity and an industry leader. She presides over the Texas Aerospace & Aviation Advisory Committee, appointed by Governor Abbott, and chairs a key committee of the European business Aviation Association. A talented athlete, Janine is a lifelong competitive equestrian and is passionate about road cycling. She supports the arts and many charities. She bucked the trends with huge Community Impact that made people read again! Jennifer Garrett started Community Impact Newspaper with her husband John from the game room of their home in 2005. They correctly identified a growing need - quality, local journalism - and transformed the traditional community newspaper into a relevant, useful publication that every resident receives for free. And that most actually read! Community Impact Newspaper has experienced remarkable growth. Now in three states with more than 27 editions and more than 2.6 million circulation, it is quickly becoming the newspaper that is in more homes than any other in the U.S. The company has appeared on the Inc 5000 fastest-growing private company list seven times, received more than 70 newspaper industry awards, and numerous local Chamber of Commerce awards. Most impressive is the culture Jennifer has helped develop at Community Impact Newspaper in an industry not generally known for putting employees first. 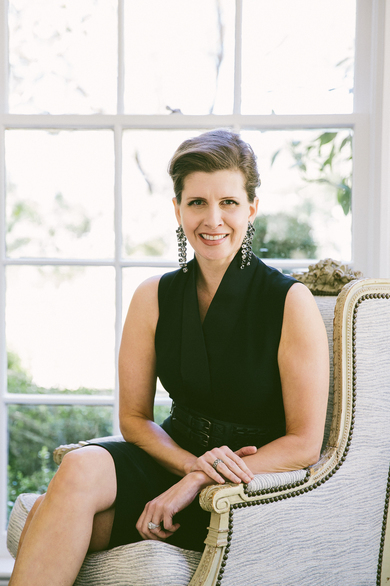 An award-winning ASID Interior Designer, she has built a corporate headquarters, a state of the art printing facility, and office environments in Texas, Arizona, and Tennessee that put an emphasis on employee comfort and safety. Each of the offices showcases her interior design skills and reflects her commitment to company values of quality and her passion for giving the best to employees. 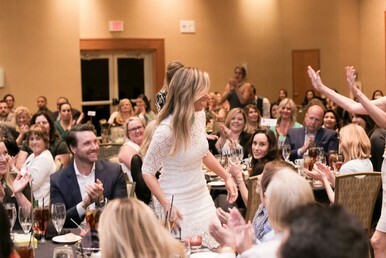 She touts her commitment to create a product that consumers desire, prioritize a culture that puts employees first, and allocate the resources toward accomplishing the mission of Community Impact Newspaper: To build communities of informed citizens and thriving businesses through the collaboration of a passionate team. 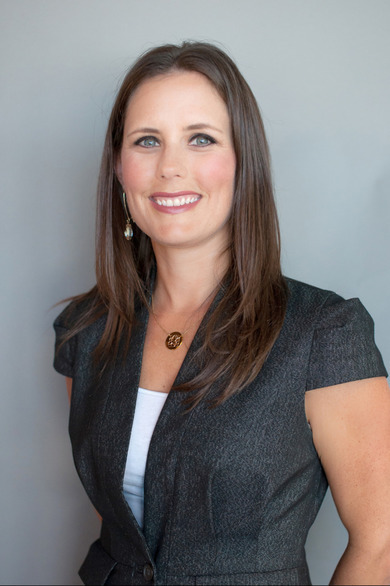 Jennifer has served on numerous boards and community organizations including the Round Rock Area Arts Association, Round Rock Christian Academy Foundation Board, and Cityview Bible Church Building Committee. Lobbyist and political fundraiser Andrea McWilliams is a skilled strategist who exercises grace with grit and patience with persuasion. Known for meticulous attention to detail, McWilliams brings unique expertise drawn from both the public and private sectors. The national media, including FOX News, the Wall Street Journal, Newsweek, USA Today, CNN, BBC, and NPR have reported on McWilliams’ role as a top fundraiser and political strategist. A national political commentator, she was the only lobbyist profiled together with the Governor, Lieutenant Governor and Speaker of the House in Texas Monthly’s “POWER” feature highlighting legislative players. A Chief of Staff at 21, McWilliams honed her skills at noted public relations company Public Strategies. Today she is the cofounder of McWilliams, a full–service firm of governmental affairs consultants working at local, state and national levels. A "hands-on mother," she splits her time between the Capitol and home, picking up her sons from school everyday and supporting her 17-year-old daughter in her budding music career. But the road was not alwaya easy. McWilliams was diagnosed with breast cancer just days before learning of her pregnancy with son Marcus. Displaying remarkable strength, she beat the cancer and delivered her youngest son later that year. McWilliams’ mantra? Strength through breast cancer. Since becoming disease-free, she tells her story of hard work and endurance hoping to provide support and inspiration to other young women. She lobbies tirelessly for the cancer community in her role as the state’s top lobbyist. In 2005 single mom Sheila Jackson faced a major career decision. Her LA-based employer was to merge with a global consulting company, which meant more travel jetting across country to help professionals build profitable businesses. She loved her consulting job, but she loved her son more. About this same time, she had the opportunity to work with an unprofitable trucking company referred by a friend. “You do remember that I know nothing about that industry and that I wasn’t the girl that played with Tonka trucks growing up,” she said. When told that it would mean a position with no travel, her ears perked up. She desperately wanted to be present and participate in her son’s life. She agreed to meet with the trucking company owner and observed the operation for three days. Then with no industry experience, no customers, no traveling and a new business associate offering some capital, she started a one-woman operation. She and the owner agreed to split profits. She would run the company, and he would stay out of the way. Within six years, she grew a zero-base business into a multi-million-dollar transportation and logistics services company. In 2012 she added her second business JA Jackson Construction. Last year her combined companies grew 32% in revenue, 7% in profit, 2 additional staff. While posting impressive growth, she sometimes had to navigate a rocky road that dealing with an alien trucking culture and male-dominated industry. 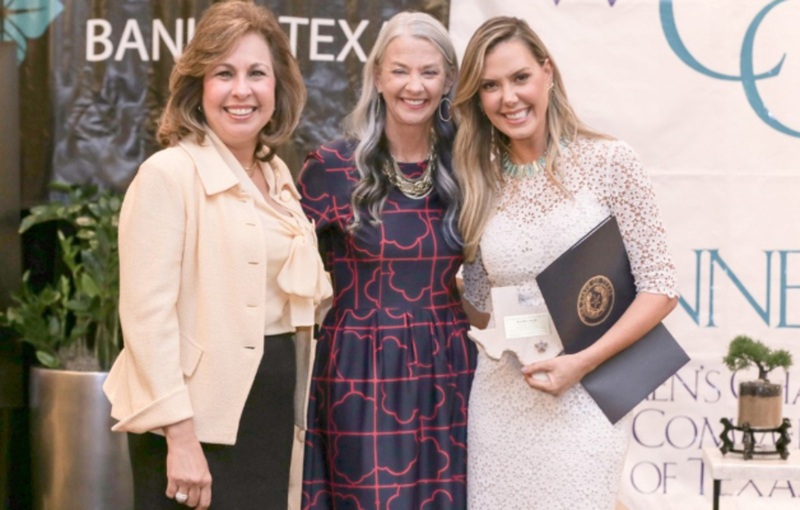 Along the way, she earned impressive awards including 2017 Fort Worth Woman of the Year, 2018 Great Women of Texas Award and Entrepreneur of Excellence nominee. She wrote several leadership articles including “How to Be a Compassionate Leader” and launched an executive roundtable/networking summit for industry leaders. She works with the Alliance for Children and the Leukemia and Lymphoma Society. 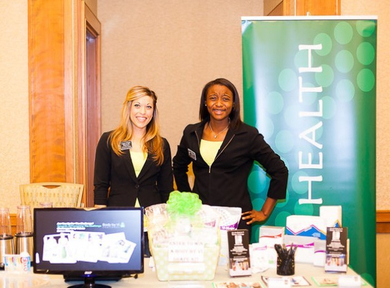 PROMOTE YOUR BUSINESS IN FABULOUS SILENT AUCTION! SPONSORSHIPS & TABLES OF 8 WITH RESERVED, PREFERRED SEATING AVAILABLE! 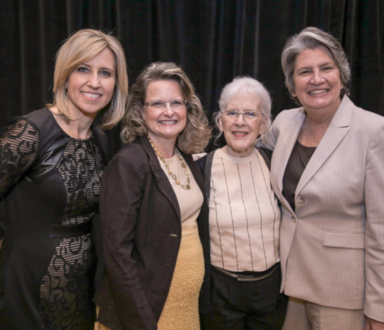 NETWORK WITH EXTRAORDINARY WOMEN OF TEXAS! 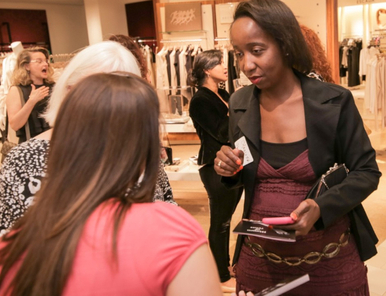 The Women’s Chamber focuses on you with strategies to help you work smarter, network effectively, and compete successfully. 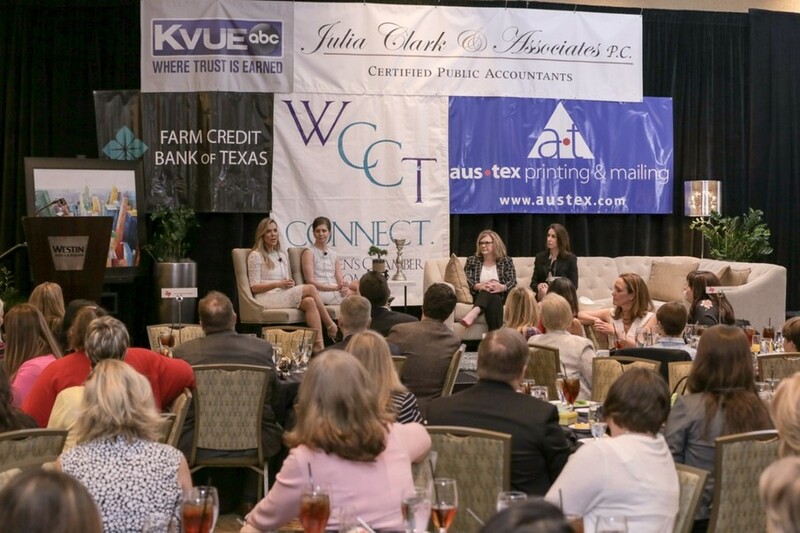 Connect with a vibrant mix of extraordinary business and professional women unique to the Women's Chamber!